Have trained, knowledgeable and courteous counselors to guide you through the process. Adhere to industry standards and guidelines for identification. Only cremate one person at a time. Only cremate human remains in our crematories. Only use climate-controlled sheltering facilities. Only use company-trained and certified crematory operators. Allow inspection of our facilities. 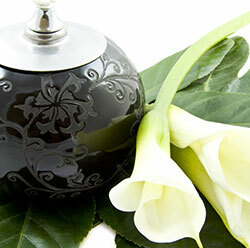 Are backed by more than 100 years of experience in the funeral industry. Provide a 100% Service Guarantee. If we ever fail to live up to expectations, we'll make things right or refund that portion of the service. Are family owned and operated, not answering to a board of directors or stockholders looking for higher sales and profits. Are not a society or membership based organization. You do not need to pay extra to obtain our low prices. Crook Counties ONLY on-site crematorium. Caring for the remains prior to cremation. Preparing the death certificate and permits. Coordinating with the local medical examiner/coroner if required. A cremation container made of approved material, in which the body is placed for cremation. Alternative Container for the cremation process. Cremation will take place upon receiving the Oregon Disposition Permit.